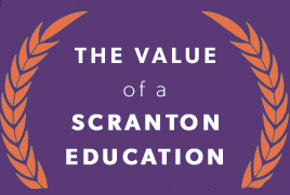 Scranton is devoted to providing its students with a transformational learning experience and a bright future. Year after year, the University and its students are recognized for everything from academic excellence to commitment to service. U.S. News & World Report's Best Colleges has ranked The University of Scranton among the 10 top master's universities in the North for 25 consecutive years; in the 2019 edition, Scranton placed sixth. In the most recent edition, the University was also recognized for its "Strong Commitment to Undergraduate Teaching" (No. 3) and among the "Most Innovative Schools" (No. 11). And in previous editions, the University was recognized for "Service Learning" and among the "Best Colleges for Veterans." The National League of Nursing named Scranton's nursing program a "Center of Excellence". The Princeton Review has included Scranton among its Best Colleges for the past 17 years. Washington Monthly ranked Scranton No. 107 among master's universities in the nation for our graduates' contribution to "social mobility, research and service." For 14 consecutive years, the University's Kania School of Management has been included among The Princeton Review's Best Business Schools. The Wall Street Journal and Times Higher Education ranked Scranton among its "Top U.S. Colleges" and recognized the University for student engagement and student outcomes. The 2018 edition of Best Catholic Colleges ranked Scranton as the No. 15 Catholic college in the nation and No. 2 in Pennsylvania. College Consensus ranked the University No. 7 in its 2018 ranking of Best Catholic Colleges and Universities. The University ranked as one of the 26 Healthiest colleges in the United States, according to a September 2016 listing posted on Greatist.com, an online source for health and fitness information. In a July 2011 article titled The Friendliest Colleges, published by The Huffington Post, Scranton was ranked among the eight most pleasant colleges in the country. The University of Scranton's dining facilities and residence halls are among the best in the nation, according to a ranking by Business Insider. In its 2019 Best Graduate Schools guidebook, U.S. News & World Report ranked Scranton’s part-time MBA program No. 74 in the nation and its graduate program in nursing ranked No. 98. U.S. News also ranked several of Scranton's master's degree programs among the top in the nation, including production and operations management (18); management information systems (19); accounting (27) and finance (39). Scranton's graduate programs ranked by U.S. News on its website, include rehabilitation counseling (32); healthcare management (46); physical therapy (53); occupational therapy (58) and nurse anesthesia (65). Our MBA program was ranked among the top 15 in the nation for general management by Entrepreneur magazine and The Princeton Review. Our master's in health administration (MHA) program ranked No. 1 in the nation for full-time enrolled students in a list published by Modern Healthcare, a health care business weekly magazine, and our online MHA program was ranked No. 2 in the nation by College Choice. Best Colleges, an independent online higher education resource, ranked Scranton's Master of Accountancy degree program No.1 in the nation. For the sixth consecutive year, U.S. News & World Report has listed Scranton among the nation's "best values." The University is listed among the 198 colleges in the nation included in the 11th edition of Barron's Best Buys in College Education. Forbes magazine has ranked Scranton as one of America's Top Colleges for value for 11 consecutive years. MONEY magazine ranked Scranton No. 191 among the 727 "Best Colleges" that deliver the best value. In 2016, Washington Monthly ranked Scranton No. 67 in its Best Bang for the Buck listing. Since 1972, 157 graduates of The University of Scranton have earned Fulbrights or other prestigious international fellowships. For the 11th year, The Chronicle of Higher Education has listed the University among the "top producers" of Fulbright awards for American students. In the last 15 years, Scranton students earned five Truman Scholarships, 12 Goldwater Scholarships and a Mitchell Scholarship. In the past 10 years, four students were named to USA Today's All-USA College Academic Team. Scranton's average six-year graduation rate is 79%, which is 20 percentage points above the national average. The University has earned accreditation from 16 different accrediting agencies, including recognition by the nation's most prestigious bodies in the fields of business and management, nursing, computer science, physical therapy, occupational therapy, chemistry and counseling. The student-to-faculty ratio is 12:1, and the average class size is 20. 88% of faculty members hold doctoral degrees and 67% are tenured. Members of the faculty hold degrees from 289 different universities in 25 countries on five continents. Carrying on a tradition that spans more than three decades, Scranton students from nearly every undergraduate degree program have studied abroad. Since 2005, students have studied in 41 different countries. A few hundred Scranton students study abroad each year. The University's NCAA Division III intercollegiate athletics program has produced 35 CoSIDA Academic All-Americans since 1981. In addition, 16 graduates have earned NCAA Post Graduate Scholarships since 1974. The Classes of 2017 and 2018 completed internships at 1,051 organizations in 35 different states, plus the District of Columbia, Canada, China, Ghana, India, Panama and Switzerland. Students participate in both credit and non-credit internship experiences. Students from other countries have studied at the University for more than 50 years. In the past five years, the University has enrolled graduate and undergraduate students from 39 countries. 98% of the Class of 2018 were employed, continuing their education or engaging in service within six months of graduating. Of the 1,088 applicants to doctoral health professions schools over the past 19 years, an average of 80% were accepted to schools of medicine, dentistry, veterinary medicine, pharmacy, podiatry and optometry. In the past four years, more than 130 Scranton graduates have received acceptance into more than 60 law schools throughout the United States, with an acceptance rate of 100% over the last four years for graduating seniors. Students are accepted into some of the nation’s most prestigious schools, such as Boston College, Cornell, Fordham, Notre Dame, the University of Pennsylvania and William and Mary. Since 1983, a total of 532 University of Scranton graduates have chosen full-time volunteer service over employment. A total of 263 of these Scranton graduates have volunteered with the Jesuit Volunteer Corps. An October 2015 report by The Economist ranked The University of Scranton No. 22 in the nation (top 2% of four-year colleges) for the impact a Scranton education has on the earnings of its graduates. The Brookings Metropolitan Policy Program, published in October 2015, ranked The University of Scranton among the top 100 colleges in the nation for the increase in annual earnings it contributes to its graduates at 10 years after enrollment. Another Brookings report, published in April 2015, placed Scranton among the top 50 colleges in the nation based on its earning scale for alumni at mid-career level. According to PayScale’s most recent salary report, Scranton is in the top 12% of universities listed by the median salaries of their alumni. The University’s Center for Service and Social Justice has a roster of 2,850 students who perform well over 170,000 service hours each year. Scranton is one of only 100 colleges and universities in the nation to be named to Templeton Foundation’s Honor Roll of Character-Building Colleges. Scranton is among just 361 colleges in the nation, and one of only 24 colleges in Pennsylvania, to be named to the Carnegie Classification for Community Engagement in 2015. The University was one of just 766 colleges in the nation named to the President’s Higher Education Community Service Honor Roll for 2014, the highest federal recognition colleges and universities can receive for their commitment to volunteering, service learning and civic engagement. The University created nearly $319.6 million in overall economic output and supported 1,953 jobs according to data from an Institute for Public and Economic Development impact study completed in 2018. On average, each student spends $36 per month dining out off campus. In recent years, the University has invested more than $260 million in campus improvements, either completed or underway. In 2011, Pilarz and Montrone Halls, which house nearly 400 upperclass students and a fitness center, opened. The new Loyola Science Center was completed in two phases in 2011 and 2012. Edward R. Leahy Jr. Hall, which houses the departments of physical therapy, occupational therapy and exercise science, was dedicated in September 2015. The Rev. Kevin P. Quinn, S.J., Athletics Campus, the new $14 million, 11-acre home for the University’s soccer, lacrosse, field hockey, baseball and softball Division III NCAA teams, was dedicated in May 2018. The Scranton Small Business Development Center (SBDC) provided 908 consulting hours to 139 clients in the City of Scranton in 2017 with a total of more than 12,000 hours in the past 38 years. Student, physician and nurse volunteers in the Leahy Clinic provide free health care services to Lackawanna County's uninsured residents -- 1,023 patients in 2017.